A mother is a mother; is a mother. I don’t care if she gives birth, adopts, fosters, or is co-parenting her boyfriend’s/ fiancé’s/ husband’s kid(s) with his kids’ mother. Giving birth immediately makes a woman a mother, a bio mother, but not necessarily a parent. A mother, yes, this is biological destiny, a religious blessing, and simple anatomy science. This is fact. It does not matter if she is not raising her child. It does not matter if she does not play any significant role in the child’s life at all. It does not matter who she is or what she does for a living or how much money she has or what her IQ is. The fact that she gave birth is indisputable. 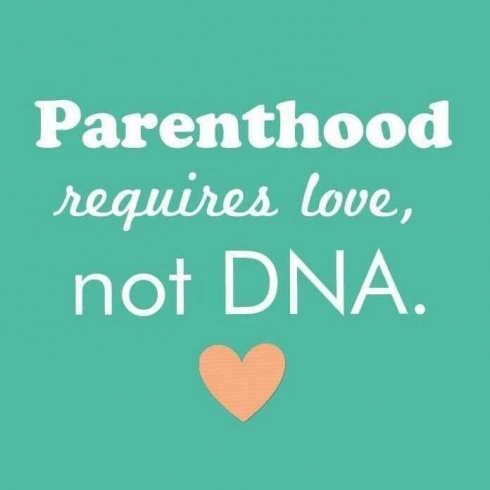 It makes her a biological mother, but not a parent. Adopting or fostering makes one a mother and a parent. You have a legal document that says so. You are doing the mothering, parenting and the loving. You are building a relationship and a history with your child. You are a mom. Mom is in the term “step-mom”. Again, you are building a relationship, and a history with a child, or children, they’re your child, your children. I am a mom as well. I didn’t give birth to any, but I am a mother, accept it. To those many woman in my shoes or alike, that’s loving, providing for and protecting a child or children that’s not theirs, you are a mother to that child or children, regardless of their bio moms availability, relationship or opinion. In your heart, as well as the child(ren)s, their father’s, maybe mother’s (depending on your sexual preference), you do have a role without boundaries, because your love has none. Don’t believe you have a place that is limited or a role that is minimum, you loving a child that’s not yours is normal, not weird. A woman who’s says its weird is a woman who has the inability to do it herself. When another woman takes place in a childs life, this woman is automatically a bad character in too many mothers eye’s. Some even take it to the extent to share that opinion with their child(ren). She now becomes topic in conversation amongst a mother’s conversation with her family and friends, but majority of the time, a jealous, classless and even coniving woman makes it a negative one almost everytime. Some are even caught in lies when others from her party try to intervene. It’s still a valid question to ask why do many woman say they want to know who’s around their child(ren), but do not take the time to learn about them woman to woman. She may say she wants to see if she’s a good person, but when she finds the good, its not shared amongst her circle, but she rather negatively discuss her and even tease her flaws. Most likely because that other woman is a better woman, and may even make a better mother. In the end, from the very beginning, a mother can continue to show that the only negative woman involved in that child’s life is the actual mother herself with her rude comments, disrespectful, and even violent demeanor towards the woman she expects to be of high value to be good enough for her child(ren). Why does it feel like some bio-moms need to make it a war, or a competition? Someone always has to be the loser, and the other the winner. Or another woman has to be trying to take over instead of working with. Some women and their “territory”, it’s sad. A child isn’t property. A child is human aren’t they? Aren’t people, people, and not ones property? 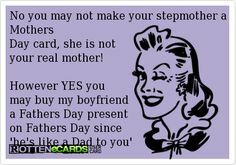 Why must a woman be able to accept another woman as a mother figure, and even call them mom, ma or say they are “like” or “are” their mom, but when it comes to their own child(ren), no other woman can be that to them? Why must she ask her child(ren) if the other woman makes them call her mom? Or even tell their child(ren) never to call her mom? Eventually the child(ren) will realize that his or her neighbors, celebrity idols, friends, and other family members call another woman mom or ma and realize it is normal, and not a crime. Thus, he or she will then realize how selfish, immature and even jealous their mother is or was, and will call that other woman ma or mom at their own will. What many of us woman need to understand is, is that woman who do act like that, are woman who do not have the ability or willingness to love, and nurture a child that is not their own, and maybe one that is as well. She cannot be with a man who has children Of his own nor take care of a child or children who isn’t hers and provide that child with what One needs emotionally and spiritualy to grow healthy and happy. You’re a mother. She’s a mother. You’re a mother. I’m a mother, accept it. How does a child have the ability to have a step-father, or simply have a man around and involved, who’s not their father, in their life, but another woman can’t step foot near or have time spent with them and a step mom is of nonexistence and is treated as a crime? I’m confused. Be glad that a child of yours has extra love and guidance in their life. Even though you may have used, or use your child(ren) as pawns, doesn’t mean that “house” is a game that another woman plays with your child(ren) as its pieces. “This is MY child”, “These are MY kids”, an unconfident or threatened woman would reply or start a conversation with. Obviously the other woman didn’t give birth, you did, so that is not needed to be mentioned. You aren’t proving a point of who’s the mother, or that you are the one in control, you’re showing how weak, threatened and unconfident you are as a woman, as a mother. A woman who shows that persona when it comes to her own, and shows her over protectiveness to a man that has children himself, shows that his children will never be priority nor good enough to be considered her own and therefore, that relationship nor any other will work. It scares and turns off a man, its shows far off from being a loving woman and a mature mother. It is crazy and completely irrational, but one may think another woman is trying to take her kid(s) from her, or that their kid(s) would like the other woman better and wish she were their mom instead. A not so great mother with a guilty conscience or unconfident woman feels her motherhood has been threatened or questioned, like perhaps she was being judged and maybe she has been discovered as not a good enough parent. But, a great and confident mother would know better, and therefore would do better. Love is what makes a mother, not just biological science or spiritual religion. Whether our children are biological, adopted, fostered, step or spiritual, love is what gives us that role of influence in another’s life. We are mothers because we love, and love is paired, so often and necessarily, with sacrifice. Having a heart doesn’t make you compassionate any more than having a brain makes you intelligent. You had the tools to create a child as any woman does, but that doesn’t mean you have the correct priorities or guidance to raise one. Some woman, and their so-called “motherly love, fight and awareness”, it’s sad and even sadder of the lack of knowledge and commitment some have to fulfill the role of a positive, rational and loving mother. Good mothers set a high enough bar of being ones mother and a confident and mature mother would not be in fear of losing the role she loved and valued so much. If she knew she was doing the job correctly, there would be nothing to fear, only something to gain, the additional love that her child(ren) would endure. 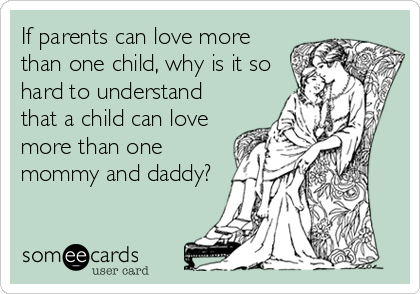 And being a mother involves sacrificing your own pride for your child(ren)’s emotional well-being and allowing your child to love another. The love we give, and the sacrifices us woman make for the love we give is what makes us mothers. 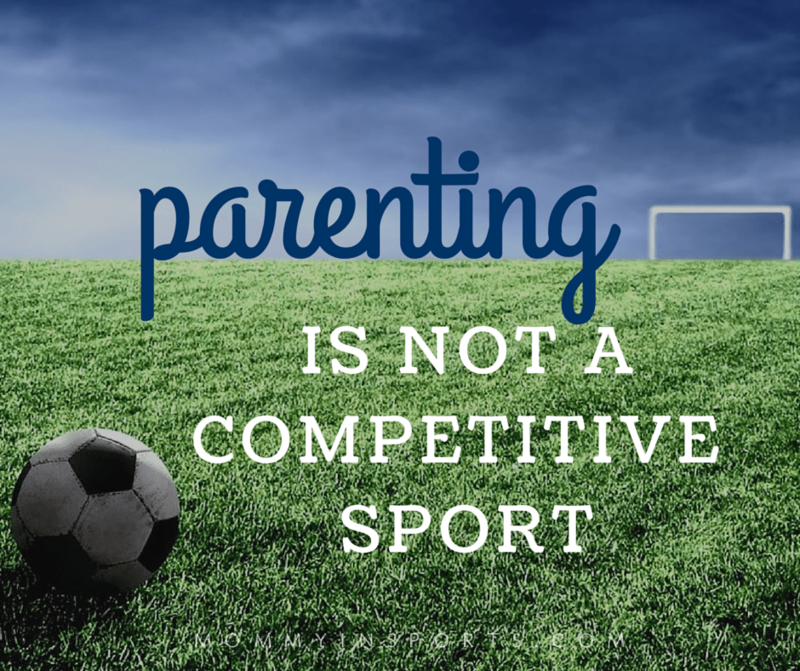 Its about what our child(ren) needs, not what we want. I will be dressed in rags before I keep my stepson, well my son, away from what pleases him. He wants to do martial arts, my hair appointments will now take place in my own bathroom. He needs extra support with school work, I will adjust my schedule. He wants to spend more time with me, my nights out come to an end. He is the son of my fiancé, I am the fiancé of his father. In the same, I am a mother, he is my son. He’s not a part of my biological DNA, but we are both major key parts in each other’s positive emotional well-being, spiritual world and life in whole. It was love that led Christ to come to earth, and it was love that led him to, and through the cross. As women made in his image, we are called to love and serve those in our care, whether they are our physical or spiritual children. But truly loving and sacrificing for others is costly, in small and large ways. And in this way, it is Love that makes us mothers. We need not be biological mothers to fulfill the role. I am a mother, accept it. Love your website and this article even more. You are so right and your advice and facts is what us step parents need to hear and mothers alike need to learn to accept. Thank you for writing this.